Kid Templates rock! 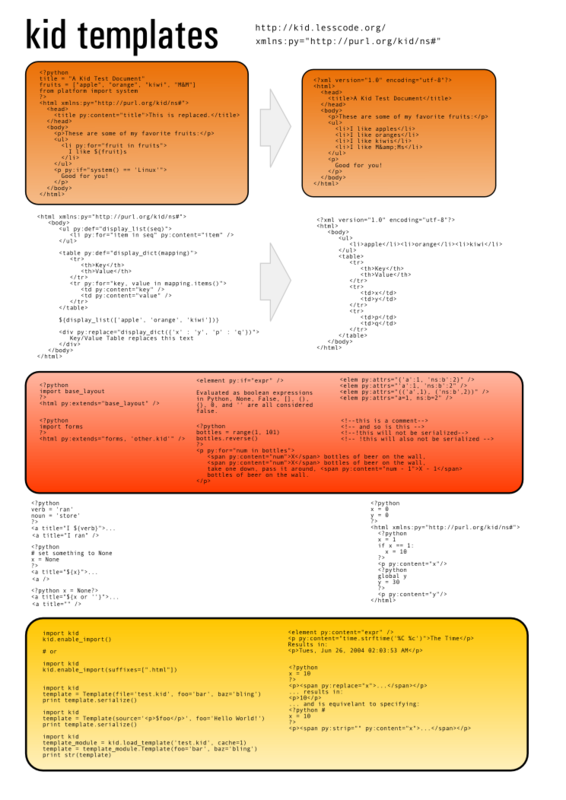 In an effort to learn and memorize the syntax, I created a cheatsheet for it using Inkscape. Attached is the PNG export and the SVG source. Enjoy!